I'm Here. I'm Queer. What the Hell do I read? : We did it! 100% Funded! 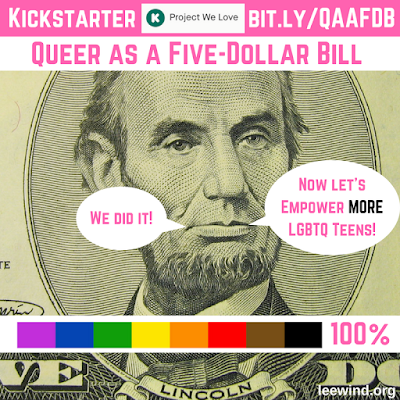 400 Copies of "Queer as a Five-Dollar Bill" will be donated to LGBTQ and Allied Teens! We did it! 100% Funded! 400 Copies of "Queer as a Five-Dollar Bill" will be donated to LGBTQ and Allied Teens!